Designed and built inhouse at their Barcelona factory, the stunning products of Amate Audio have been part of the world stage for live music for over 40 years, bringing many industry firsts and patented technology to the market. Made famous whilst under the Master Audio name, the company is synonymous with high performance and quality of craftmanship throughout its range of arena speaker systems, club installation systems and its smaller PA and distributed audio speakers. Family owned and run since its creation, the heritage and personal touch to Amate products is evident as soon as youy experience them up close. Built with care and attention by a small team of craftsmen, utilising the finest components and cabinet construction to its speaker systems that help put them miles above the nearest competition. 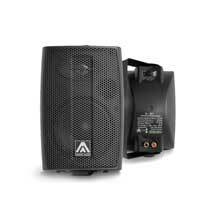 Its the old adage 'you get what you pay for' , and with Amate products you can be sure of the very best sound reproduction and durability that the market has to offer, from the largest stadium line array system to a set of ceiling speakers, you can be safe in the knowledge that you made the right choice. Company owner and founder Jean Amate is the heart of Amate, being an engineer and audio designer, and the owner of a multitude of patents in amplifier technology including the first anti clipping circuit, compressor limiters and the worlds first intergrated DSP speaker system. These guys know their stuff, and with the company kept as a tight family unit it is still the same brand and quality today as its always been. Innovative design in cabinet dynamics and use of the finest components and finishing techniques throughout the Amate range has lead to systems finding homes in stadiums and touring rigs all over the world. With the company profile now gaining more spotlight than before, Amate is the name to look for when you really want your sound to deliver. 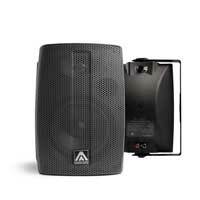 Amate have several model lines to cater for the specific needs of arena / stadium audio and nighclub systems, each offering unique features and design. The incredible Line Array systems of the Xcellence range offer immense power and clarity over a defined audience area, with throw patterns and adjustable rigging giving the engineer ultimate control over where the sound goes, which means a more compact array has the same overall sound coverage as a larger but non focussed system. For nightclubs and music venues, the Xcellence range also extend to point source speakers and a selection of hugely powerful subwoofer systems which are supplied passive, for matching with the appropriate HD series power amplifiers. Bridging the gap from nightclub systems to live band and professional PA applications, the latest Nitid series is the result of many years research and development, utilising the latest materials and technology to give what Amate describe as exceptional results. Featuring a large range of 2-Way active PA cabinets, the unique column uprights of the N26, N36 and N46 with their high power 6" neodymium drivers and 125dB SPL performance, and the monstrous N18 and N218 subwoofer systems, the Nitid range has something for every requirement. For small to medium indoor and outdoor events requiring that bit extra, the Nitid ramge also include the fabulous N208 line array modules which feature dual 8" neodymium drivers with patented waveguide technology. 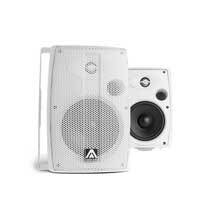 Not wanting to leave out the smaller venues and home users, Amate offer the stunning B series of wall mount full range speakers in 5 inch, 6 inch and 8 inch versions, with the B5A offering active power, whilst the B5T and B6T add in selectable low impedance to 100V line capability for installation into larger houses or restaurants. 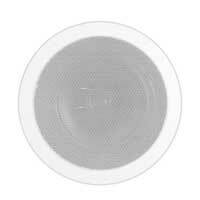 Complimenting these wall speakers is the high quality CS6FR ceiling speaker which offers 30W RMS through its 6.5" woofer, making it perfect for home audio, home cinema, and for installation systems as it also features both low impedance and 100V line capability.